Full of sunshine and good cheer. 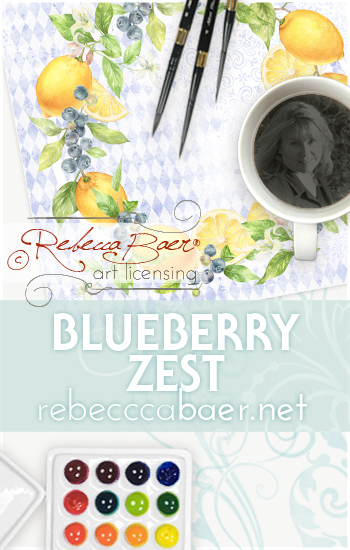 This collection showcases hand painted watercolor blueberries, lemons and greenery along with a range of coordinating patterns. Floral components have also been added (per client's request). All designs shown can be produced with either fruit or floral elements or a combination of both. 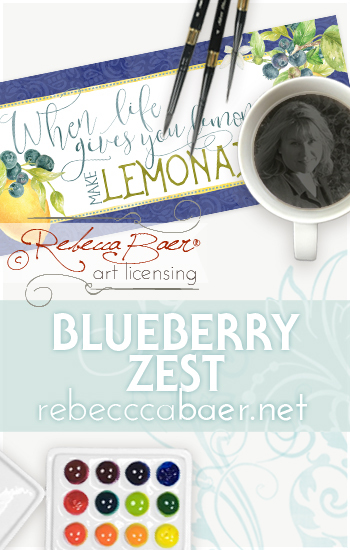 Wreath layout with lemons, blueberries & greenery over a hand painted tonal blue pattern watercolor background. 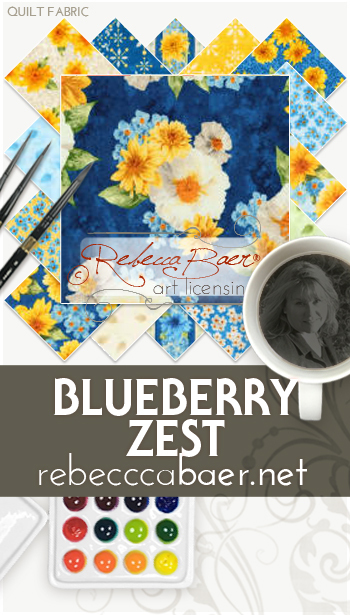 Seamless repeats featuring yellow and blue flowers, lemons, blueberries & greenery along with hand painted watercolor patterns. 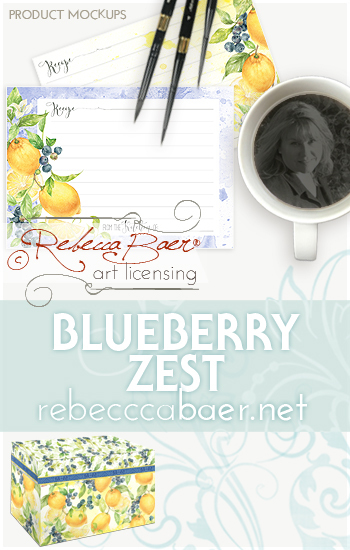 Product mockups of decorative recipe cards with a coordinating recipe box all featuring hand painted watercolor ensembles of lemons and blueberries. When life gives you lemons, make lemonade! This charming horizontal layout with script and print typography says it all. Find this quilt fabric, "Gardenside Path", at your favorite independent quilt shop. A few images are shown to present a glimpse of the style included in this group. Art Directors and Licensees can request access to view the full collection. 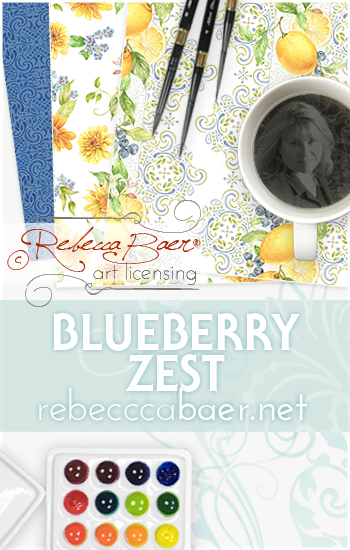 To view Rebecca's expanded portfolio online create an account on ArtLicensingShow.com There is no charge for Art Directors/Licensees.